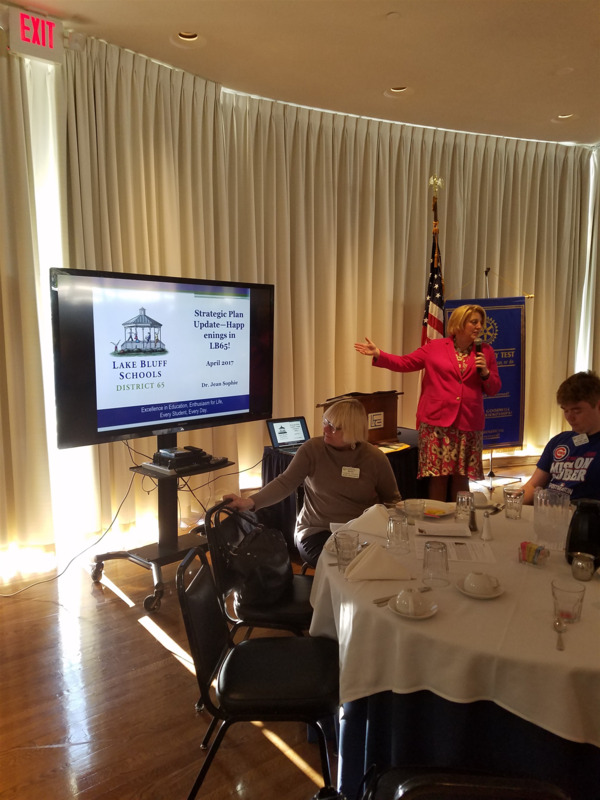 Dr. Jean Sophie, Superintendent of Lake Bluff Schools, gave the club an informative presentation of the current state of local education. Much better than a school assembly, the interaction of members on various topics was an education itself. Luckily, no one was served with a detention and we went to recess afterwards. Thanks Dr. Sophie for all you do in our community!